Salt City Lashes is proud to offer one of the most thorough and professional lash lift certification courses available. When you train at Salt City Lashes you get the one of kind experience of learning about lash lifts in a professional functional studio, using top of the line equipment and techniques. Our 1 on 1 style of teaching ensures that you get all of the individual attention and assistance you need to become a sought after lash artist in this booming industry. Training can be booked online as an appointment at your convenience. The cost for the course is only $149 and includes a kit with supplies for 10 lifts. This course is intended for licensed cosmetologists and estheticians who already have a knowledge of safety, sanitation and skin conditions. If you are not a licensed professional, this is not the course for you. Other companies will train anyone interested, our course is intended for professionals only. 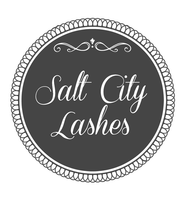 ​Salt City Lashes is proud to offer one of the most thorough and professional eyelash extension certification courses available. When you train at Salt City Lashes you get the one of kind experience of learning about lash extensions in a professional functional studio, using top of the line equipment and techniques. Our 1 on 1 style of teaching ensures that you get all of the individual attention and assistance you need to become a sought after lash artist in this booming industry. Post training, you will receive continued support via phone, text, email and you will be invited to observe as many as 3 professional services at Salt City Lashes free of charge. If you would like continued support, additional hands-on training is available for purchase at a low hourly rate. Training can be booked online as an appointment at your convenience. ​This is an intro course to eyelash extensions. Perfect for the cosmetologist or esthetician who is interested in learning about lash extensions to see if it is a good fit as an added service. This course is for those with previous experience in eyelash extension application who are looking to improve their technique and understanding of eyelash extensions. Tailored instruction which may include subjects such as: ergonomics, client retention, business strategy, volume technique or anything related to eyelash extensions or business. No kit is required for this class, however you will be asked to bring your own tools or purchase those that you use. If you own or work at a salon/spa interested in adding individual lash extensions to their list of services, you need to consider having Rachel Namba, owner of Salt City Lashes come and teach you everything you need to know. Rachel Namba has been in the business of lash extensions for over 9 years. She has worked full-time in a busy lash studio and started her first business selling lash extension products online. 6 months later, she opened her own salon from the ground up and can teach you everything you need to know to get your business going from any stage to reach any level. Ask about our lash business mentoring program. If you would like to host a training at your location you will receive special host benefits, please contact us for details.